After beginning life as an experimental side-project for members Paul Maddox and Rich Wakley, Spektre find themselves over a decade later as established and respected features of the Techno landscape. 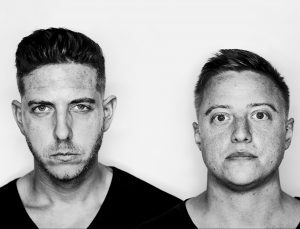 As a production outfit, they have recently released on such imprints as Drumcode, Elevate, Filth on Acid and Unrilis (as well as their own Respekt Recordings) to the acclaim of their peers, with the likes of Adam Beyer, Carl Cox and Alan Fitzpatrick among their plaudits. As performers, Spektre’s unique sound has taken them to some of the biggest and most highly regarded venues worldwide, with frequent bookings by the likes of Space Ibiza, Exit Festival, Pacha Buenos Aires and Burning Man. On stage, their long-standing chemistry and constant desire to experiment always results in an exciting spectacle. Their live exploits are also documented alongside guest slots from esteemed cohorts in their regular Mutual Respekt Podcast.